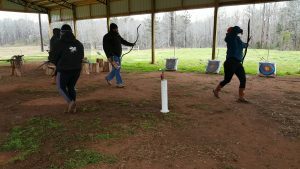 Clinics and Lessons – Chattahoochee Horse Archers, Inc.
We are dedicated to offering you an experience you will never forget. 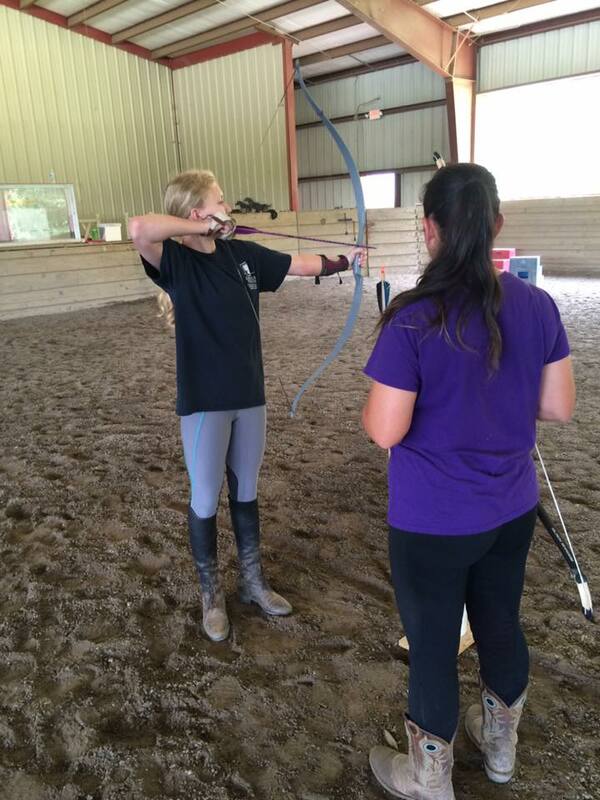 We believe that through providing proper education and instruction, we can develop the sport in our region to its fullest potential. Safety is our number one priority, followed by flat out FUN. If you are interested in trying something new and extraordinary, we can help with that! We provide all equipment. You can use your horse or one of ours! 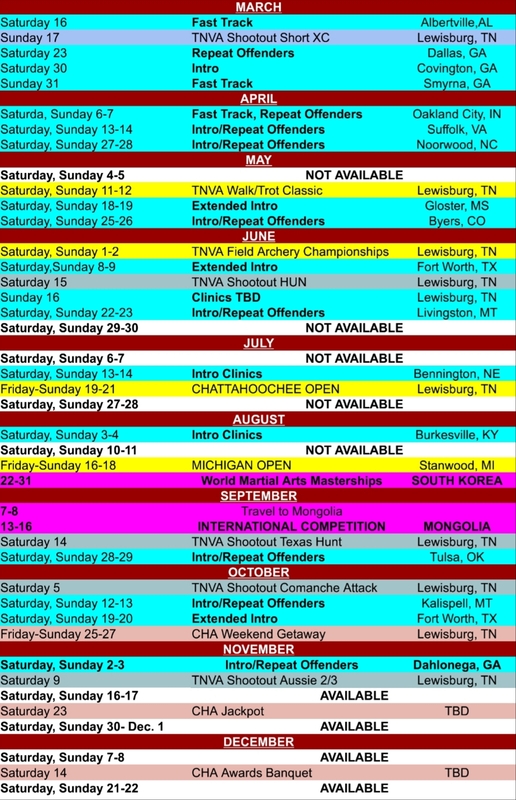 There are several options for you to schedule a private lesson. 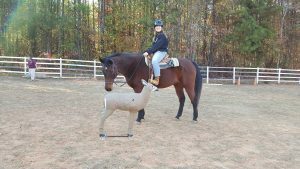 We have lesson horses available at LauraLeigh Farms in Dallas, GA. Want to learn on your own horse? No problem! You are welcome to trailer in to either of these locations or Elizabeth may be able to come to you! 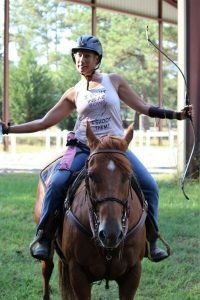 An Intro to Mounted Archery Clinic is an 8 hour clinic focused on range safety, learning to shoot a horse bow with proper form, loading and blind nocking your arrow, shooting on the move, desensitization of your horse and shooting while mounted. 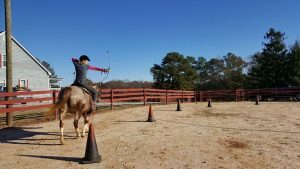 We work on an individual level of progress for both horse and rider. 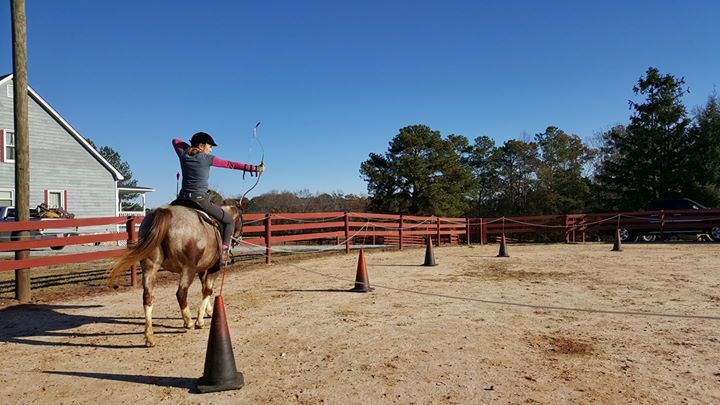 A Fast Track to Mounted Archery clinic is a 4 hour CONDENSED version of the Intro Clinic with special focus on Learning proper form, becoming comfortable with the bow and desensitizing horses. 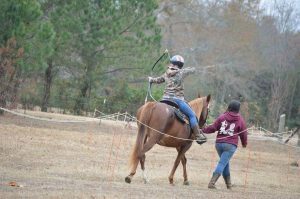 A Repeat Offenders Clinic is a clinic focused on the “What next” after you have attended an Intro or Fast Track Clinic, have been taking private lessons, or can already shoot from your horse and have received approval to attend. You must be shooting comfortably from your horse. These clinics cover a variety of subjects including, but not limited to: Different draws, using different styles of quivers, barrier courses, field archery courses, training your horse for field archery, and preparation for competition. Each clinic is different and based on the needs of the participants and horses present. Your spot will NOT be reserved until receipt of payment and registration. 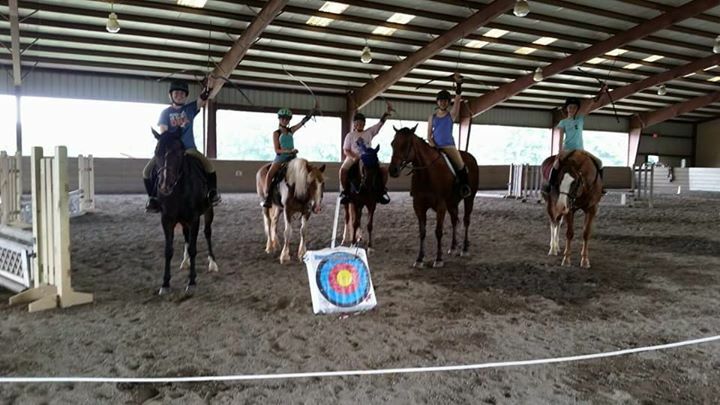 Check out Chattahoochee Horse Archers, Inc Facebook events to sign up. PLEASE SHARE! Please contact me at Liz.horsearcher@gmail.com or on Facebook to sign up. No experience necessary. Equipment provided. 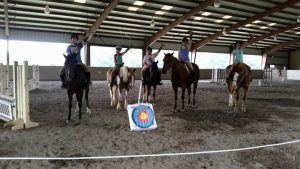 Learn range safety, about the horse bow and arrows, how to shoot a horse bow, horse desensitization and shooting while mounted. ****Repeat Offenders=Take it to the next level after completing an Intro or Fast Track. 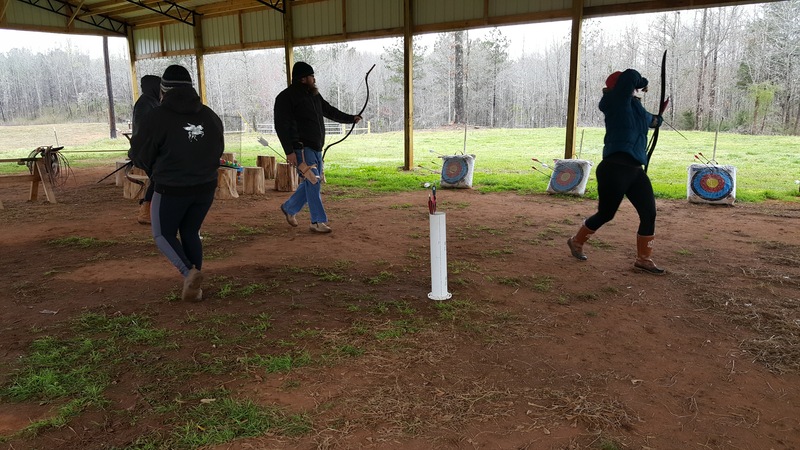 Learn about and train on the Sport Track for ranking and competition and/or field archery, horsemanship for mounted archery. 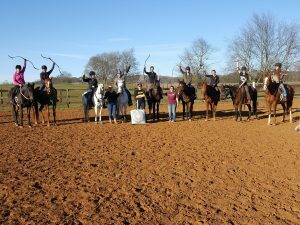 –clinics vary based on the needs of the participants and their horses. If you are interested in scheduling lessons, attending a clinic or hosting a clinic at your facility, please contact our President and Instructor, Elizabeth Tinnan.